In the recent trend, Apple’s products have seen its prominence in almost all the corporate organization today and have been incessantly growing in the consumer market segment and in this particular horizon the MacBook Pro Rental has seen its rise in the market where more and more consumers are opting for the rental MacBook Pro for their varied accomplishment. How Macbook Pro Rental Has Become The Perfect Fit For Consumers? MacBook Pro has been a gadget which brings about lot many features that persistently entices a consumer in every literal sense of its profound usages. Apple Inc, has always made sure that MacBook Pro’ becomes the handiest tool to get accommodated in the smallest bag and further can be ferried across with ease. It brings about the seamless network connectivity, the profound and the most captivating component has been towards its docking facility. The docking facility has in fact brought in a greater significance of the device which allows the access to multiple ports so that it can be plugged into most of the third party external devices. 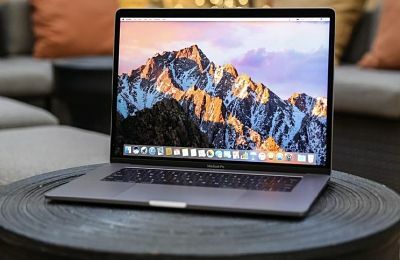 Anecdote: In today’s trend, the MacBook Pro series has become the consumer product, as they have steadily replaced other gadgets with reference to its attributes and functionalities. What Are The Inherent Parameters In Macbook Pro Towards Network Connectivity? In fact, Macbook has been the excellent device with reference to the network connectivity over the wireless connections and has been found to be prolific with reference to its fastest connectivity. The MacBook Pro houses itself with wireless LAN or the WLAN and the blue aerial and other docking ports such as the MagSafe power port. MacBook Pro has been a chosen gadget for executives working in an enterprise organization, where the built-in Gigabit Ethernet port becomes very handy in terms of connecting to the LAN. MacBook Pro budgeting: Costing of MacBooks have predominantly been on a higher edge in the consumer market and many at times it has become a cumbersome gadget to procure, however, the MacBook Pro rental has been the most viable choice for consumers to access the same. Rental flexibility: As an analogy, MacBook Pro has been the versatile device in itself and it has been a perfect for users to use it for a prolonged time period, in this particular endeavor, the MacBook Pro on rental brings about the flexibility for users to use them for a longer period of time with an affordable monthly cost. MacBook Pro has been the gadget which houses enough processing power and abilities, which has enabled the user to use it in a multiple ways to accomplish his objectives. If you are a user who is eager to explore those fabulous features please approach us at VRS Technologies and call us at 00971555182748 for more details.